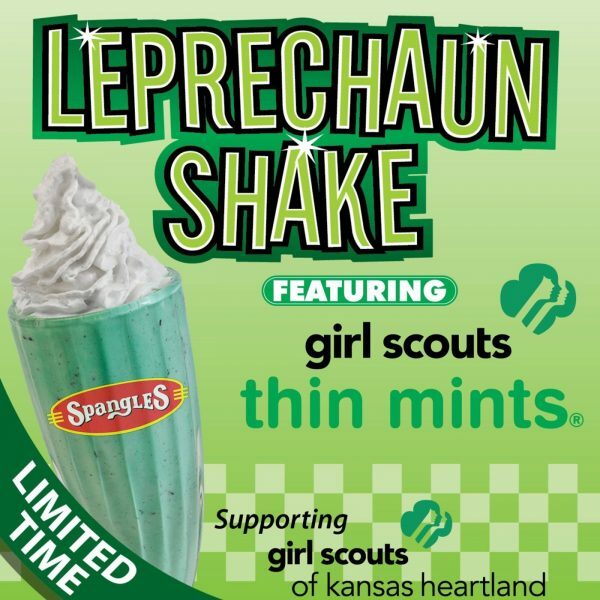 Spangles ‘Leprechaun Shake’ featuring Girl Scouts Thin Mints to support local Kansas chapter – Wichita By E.B. 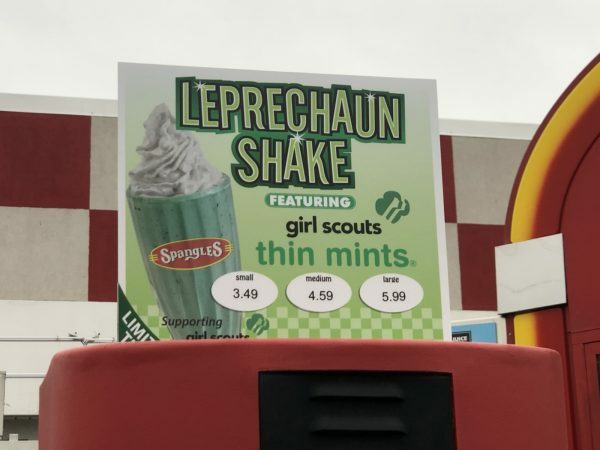 Leprechaun shakes are not anything new to Wichita. 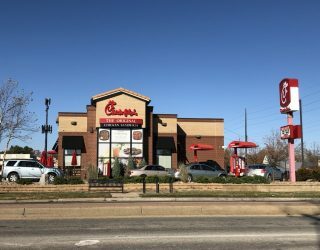 Many restaurants and fast food joints have been serving them especially in March. 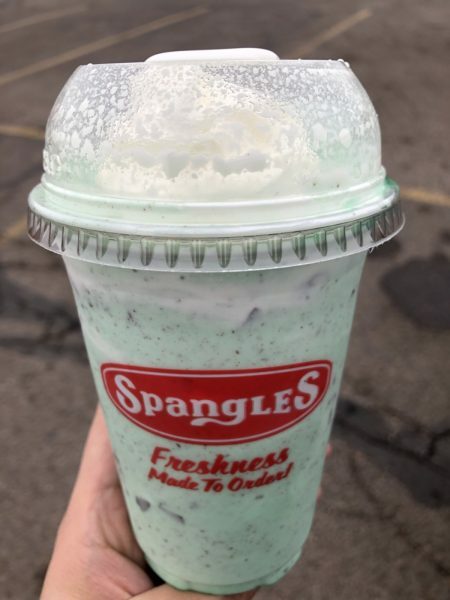 But Spangles took it a step further and incorporated something I don’t believe I’ve seen around town. Instead of using mint Oreo cookies, the Leprechaun shakes used Girl Scouts thin mint cookies. The cookies will be purchased from the local chapter to support the Girl Scouts of Kansas Heartland. Prices for the shake, which I might add are lactose free, run $3.49, $4.59 and $5.99. Let’s face it, who doesn’t love Girl Scouts thin mint cookies? This shake features vanilla ice cream spun with a mint syrup and crushed Girl Scout thin mints. The shake is then finished with a whipped cream topping. It’ll be available through the end of March. I purchased one and absolutely crushed it. The shake brought smiles to my face not just because it was lactose free but since it was simply delicious. There was no shortage of thin mints inside. Once the ice cream was gone, you could see a bed of crushed thin mints sitting at the bottom like rocks in the ocean. It was like a dessert post dessert. Supports the local Girl Scouts. Check.